Thomas was a master bricklayer who helped build Independence Hall. 1 New England Historical and Genealogical Register, (New England Historic and Genealogical Society), 1982, Vol. 136, p. 95. 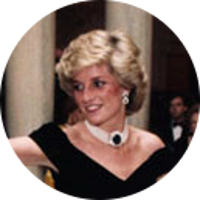 2 Evans, Richard K., The Ancestry of Diana, Princess of Wales , Boston: New England Historic Genealogical Society (2007), 41. 3 Roberts, Gary Boyd and William Addams Reitwiesner, American Ancestors and Cousins of The Princess of Wales, Baltimore: Genealogical Publishing Co., Inc. (1984), 23, Ancestry.com (Online Database). 4 Roberts, Gary Boyd, comp., Ancestors of American Presidents , Boston: New England Historic Genealogical Society (2009), 638.